The Mary Black Foundation is pleased to announce early childhood development funding that has made a partnership possible between the South Carolina Aquarium and The Children’s Museum of the Upstate – Spartanburg. On April 10th and 11th, the South Carolina Aquarium will bring its Rovers Education Outreach Program to the Children’s Museum of the Upstate in Spartanburg. The Rovers program was established in 2008 in response to teachers’ requests for supplemental STEM-related learning opportunities for their students. 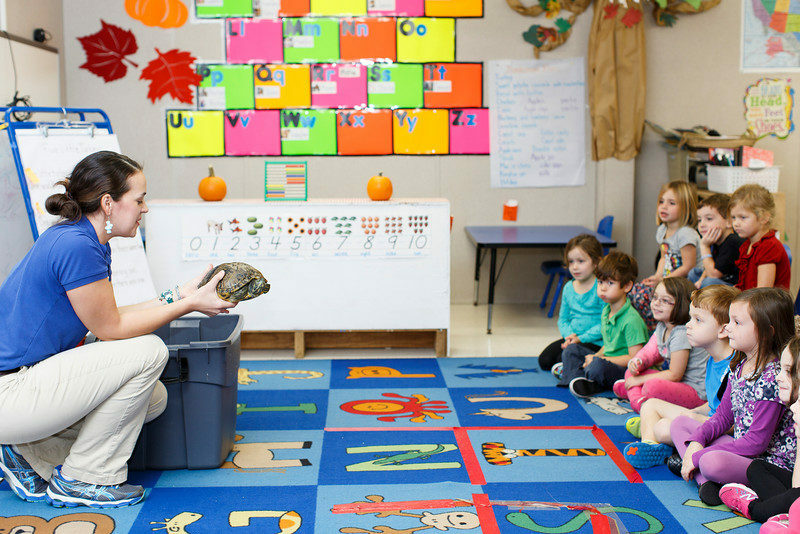 This interactive, hands-on learning opportunity utilizes live animals and natural resources with a grade-specific, state standards aligned curriculum. Thanks to the Mary Black Foundation, we are thrilled to connect with the Upstate and engage youth through our Rovers outreach programming. We take great pride in connecting and educating South Carolinians on the importance and interconnected nature of ALL our watersheds and regions in South Carolina. While the South Carolina Aquarium offers programs for students of all ages, due to The Children’s Museum of the Upstate’s focus on early childhood development, the Rovers program on April 10-11 will be tailored for children 10 years old and younger. Programs will be at 11 am and 12 pm both days. For more information about the upcoming event, please contact Chloe Garrison at cgarrison@scaquarium.org. Previous PostThe Finish Line is Just the Beginning!